We're only a few months into 2019, but already, one outfit has proved the most popular on our Instagram feeds: all-beige ensembles. Tonal dressing using soft colours like oatmeal, biscuit, blush and off-white dominated the catwalks for spring/summer 2019, and is a trend that translates beautifully into real life. It looks elegant and sophisticated, but isn't actually a difficult look to execute. It might look expensive, but this can look just as put-together on a high-street budget. The key is to opt for oversized silhouettes, mix several shades of beige and experiment with textures. 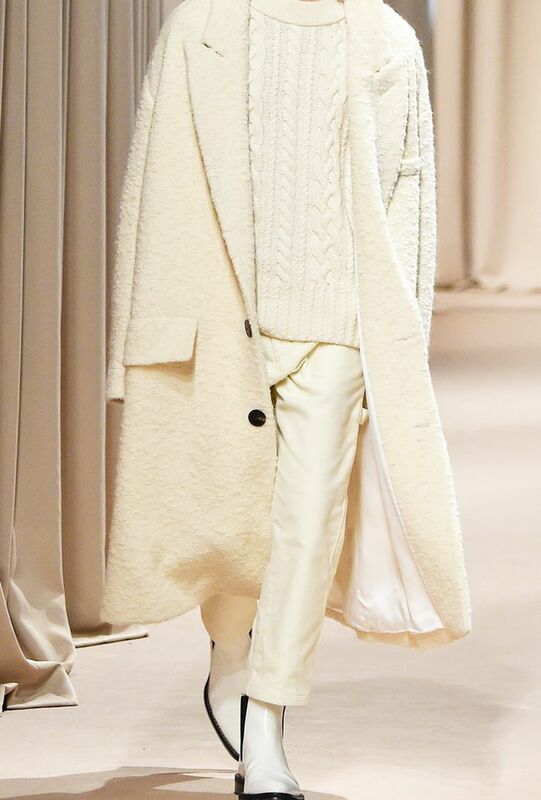 There's one outfit that I think is the perfect example of the power of a tonal look: See above from Ami Paris's A/W 19 show. This confirms that this neutral colour palette is going to be a dominant theme next season too. Next up, shop our guide to the key trends for spring/summer 2019.